China has sounded a positive note ahead of trade talks this week with Washington, but the two sides face potentially lengthy wrangling over technology and the future of their economic relationship. Both sides have expressed an interest in settling their tariff fight over Beijing’s technology ambitions. Yet neither has indicated its stance has changed since a December 1 agreement by presidents Donald Trump and Xi Jinping to postpone further increases. Envoys will have “positive and constructive discussions” during meetings Monday and Tuesday, said Chinese Foreign Ministry spokesman Lu Kang. The American side is led by a deputy US trade representative, Jeffrey D Gerrish, according to the US government. Neither side gave details of their agenda but Gerrish’s delegation includes agriculture, energy, commerce, treasury and State Department officials. The Chinese government gave no details of who would represent Beijing. The talks are going ahead despite tensions over the arrest of a Chinese tech executive in Canada on US charges related to possible violations of trade sanctions against Iran. Trump imposed tariff increases of up to 25 percent on $250 billion of Chinese imports over complaints Beijing steals or pressures companies to hand over technology. 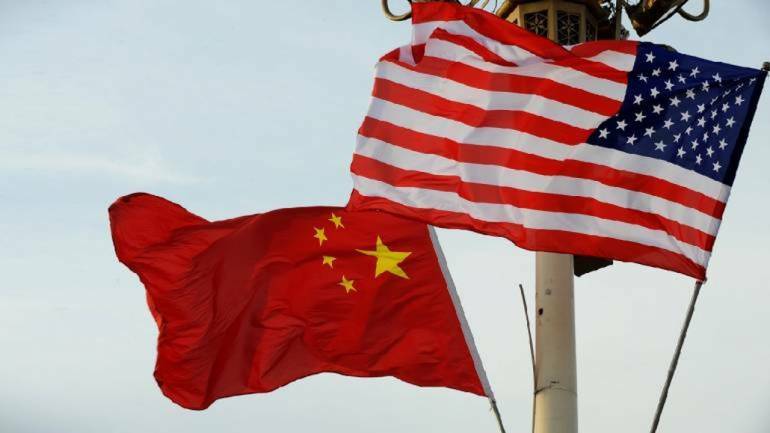 Beijing responded by imposing penalties on $110 billion of American goods, slowing customs clearance for US companies and suspending issuing licenses in finance and other businesses. Washington, Europe and other trading partners complain Beijing’s tactics violate its market-opening obligations. The clash reflects American anxiety about China’s rise as a potential competitor in telecommunications and other technology. Trump wants Beijing to roll back initiatives like “Made in China 2025,” which calls for the state-led creation of global competitors in such fields as robotics and artificial intelligence. American officials worry those might erode US industrial leadership. The ruling Communist Party is reluctant to give up initiatives it sees as a path to prosperity and global influence. China’s leaders have tried to defuse complaints by emphasizing the country’s potential as an export market. They have announced a series of regulatory changes over the past year to increase foreign access to their auto, finance and other industries. Some Chinese officials suggest the technology initiatives might be opened to foreign companies. But they have given no details, leaving it unclear whether that will satisfy Washington. Trump and Xi agreed to a 90-day postponement of additional tariff increases to take effect January 1. But economists say that is too little time to settle all the disputes that bedevil US-Chinese relations. They say Beijing’s goal probably is to show enough progress to persuade Trump to extend his deadline. During that 90-day period, agreements “may not be reached until the last day,” said Tu Xinquan, director of the China Institute for World Trade Organization Studies at the University of International Business and Economics in Beijing. This week’s talks will focus on technical details before higher-level leaders “make hard political decisions,” Tu said. In the longer term, the final tariffs might “remain for several years,” Tu said. Cooling economic growth in both countries is turning up the pressure to reach a settlement. Chinese growth fell to a post-global crisis low of 6.5 percent in the quarter ending in September. Auto sales tumbled 16 percent in November over a year earlier. Weak real estate sales are forcing developers to cut prices. The US economy grew at an annual rate of 3.4 percent in the third quarter, and unemployment is at a five-decade low. But surveys show consumer confidence is weakening because of concern that growth will slow this year. Beijing has tried in vain to recruit France, Germany, South Korea and other governments as allies against Trump. They criticize his tactics but echo US complaints about Chinese industrial policy and market barriers. The European Union filed its own challenge in the World Trade Organization in June against Chinese rules that the 28-nation trade bloc said hamper the ability of foreign companies to protect and profit from their own technology. For their part, Chinese officials are unhappy with US curbs on exports of “dual use” technology with possible military applications. They complain China’s companies are treated unfairly in national security reviews of proposed corporate acquisitions, though almost all deals are approved unchanged. Some manufacturers that serve the United States have shifted production to other countries to avoid Trump’s tariffs. UBS said Friday that 37 percent of 200 manufacturers surveyed by the bank have shifted out of China over the past 12 months. The threat of US tariff hikes was the “dominating factor” for nearly half, while others moved because of higher costs or tighter environmental regulation. “Most firms expect the trade war to escalate,” the bank said. January 23, 2019 Lili Comments Off on The End of Economics?